Click “Add to Cart” below to purchase the sample copy. 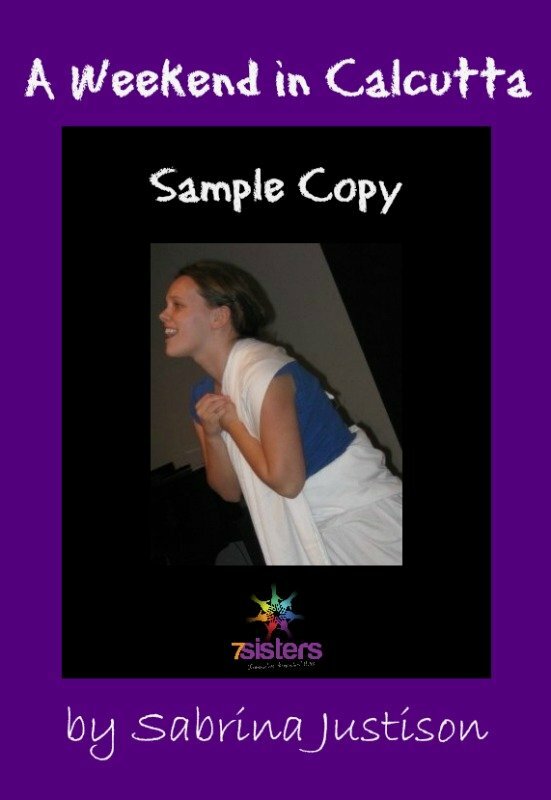 If you decide to produce the show, you can download the script with permission to print copies for your whole cast and production staff (“Sample” watermark removed) for $24.99. All performance rights for your cast are included in the purchase price of $24.99, and no royalties are due regardless of how many performances you schedule, provided you DO NOT CHARGE ADMISSION to your audience. You may take up a free-will offering, but you may not charge a set price for tickets without written permission from 7 Sisters – use the Contact Us tab above if you would like to request permission to charge for admission. Click here to navigate to the download for A Weekend in Calcutta with Production Permissions.